Avascular Necrosis (AVN) of the foot sesamoid bone – What is the right course of action?? This brief note is meant to shed some light on the queries that might arise regarding injuries & treatment for the foot sesamoid bone. Currently, I am recovering from a worst possible scenario – sesamoid bone necrosis or sesamoid AVN in my right foot. I also suffer from high Uric Acid, which is compounding the problem. Let me give a brief about myself. I had a very active lifestyle which included running, badminton, trekking & biking. After one instance of long trekking in January 2014, I started feeling uncomfortable owing to soring pain in my right foot below the great toe. As I did not want to take any chances, I immediately consulted an orthopedic. The doctor ran some tests and said it was just some muscular pain. A regular soak in warm water with Epsom salt would suffice was the suggestion. I took it and went back to my regular activities, though this time with slight pain. Finally, in March 2016, I started to experience heavy swelling in the foot. The doctors I met, proposed that there was only one solution left – surgery (to remove something called as the ‘sesamoid bone’). Suddenly Surgery?? Why? Side Effects? There were more questions than answers? It just did not make sense….. 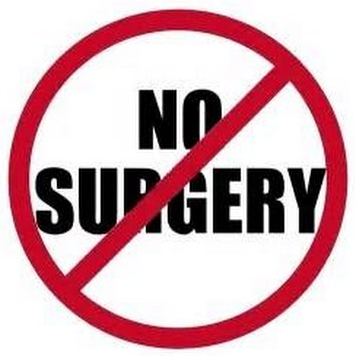 I took a divergence from the doctor’s opinion as I was not convinced with the logic of surgery. In my opinion, surgery was supposed to be the last resolve rather than a first one. I did a 3T(Telsa) MRI scan to understand what was the cause of the pain. The root cause turned out to be Avascular necrosis (AVN) of the sesamoid bone. In this condition, cell death (necrosis) of the bone happens due to interruption of the blood supply. This interruption can be due to injury during some physical activity or excessive alcohol consumption or some genetic causes. With the blood supply being interrupted, the bone starts to decay. After being cognizant of my condition, I met more specialists in the field. There was indeed a difference of opinion ranging from – painkillers to surgery. Finally, I zeroed in on an experienced doctor who explained to me about the significance of sesamoids and how AVN can be reversed. He put me in a synthetic-cast and started medications to establish the blood supply (re-vascularize) the bone. This went on for a period of 40 days. After this, I was made to walk around with surgical inserts in my shoes. To gauge the recovery, an MRI was conducted at intervals of 6-8 months. The doctor had also asked me to keep wearing cushioned sports shoes all the time and never walk barefoot till complete recovery could be established. This was meant to speed up the revascularization process. There is a backdrop for me to talk so elaborately about my condition and the doctor’s approach the problem. Let’s talk briefly about the sesamoid bone. It is a tiny pea-shaped bone embedded in the tendon at the bottom of both feet. They act like pulleys for the tendons to glide over them. By this analogy, you can make sense that despite being small, sesamoids are very helpful. The instances of AVN occurrences in the foot sesamoid bone is a small fraction. This speaks volume regarding its awareness and treatment. People appreciate the value of the sesamoid bones once they are fractured or worse they are diagnosed with AVN. When the sesamoid is fractured, the pain is unbearable. The condition might get worse in case of an AVN. The inclination would be to get rid of the pain through surgical intervention. There are surgeons who propose this alternative for quick relief. This quick/instant relief comes at the cost of the instability of the great toe and further future complications. The primary objective of going back to running barefoot on grass etc. may possibly never ever be fulfilled. So why do the surgery?? With proper care, the body can miraculously regenerate/rejuvenate itself. It can re-grow the foot sesamoid bone which has been affected by AVN. The only care that needs to be taken during the healing – no excessive pressure by walking/running/jogging which can deform the bone. Why not believe in the regenerative abilities of the body? Why take shortcuts? This is my personal experience. Share your views in the comments section or email me at u2d2tech@gmail.com. Switching to LED Lighting…..know more!!! What i don’t understood is in truth how you are now not actually a lot more smartly-appreciated than you might be right now. You are very intelligent. You already know therefore significantly with regards to this topic, made me in my opinion believe it from numerous various angles. Its like women and men are not fascinated unless it is something to accomplish with Girl gaga! Your personal stuffs great. All the time deal with it up!